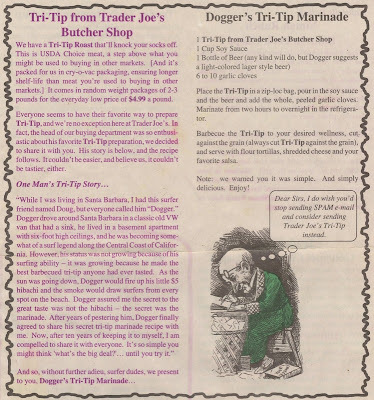 Several years ago, an issue of Trader Joe's "Fearless Flyer" published the secret recipe for Dogger's Tri-Tip Marinade. Dogger was apparently a surfer from Santa Barbara who would barbecue some fantastic tri-tip at the beach using a cheap little hibachi. 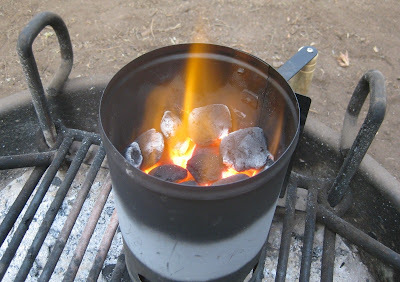 The recipe has found frequent use on our grill at home, so it was an easy choice for a campout dinner in Yosemite. 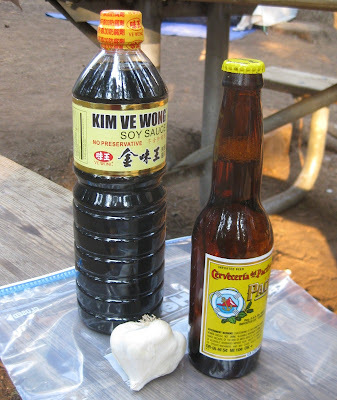 All you need is a cup of soy sauce, a bottle of lager (we usually use a Mexican beer like Pacifico), and a handful of whole garlic cloves. 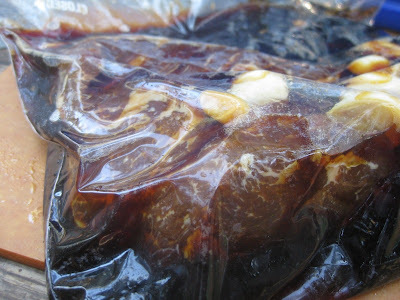 Put it in a ziplock bag along with a hunk of beef tri-tip and let it chill - in our case we left it on ice in the cooler while we went hiking for the day. 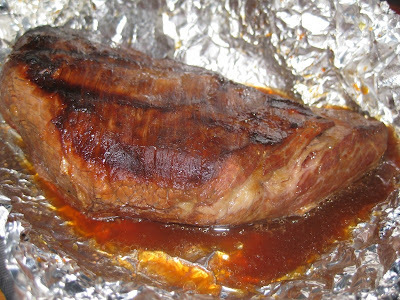 The tri-tip just needed a quick pat with some paper towels and it was ready to go. 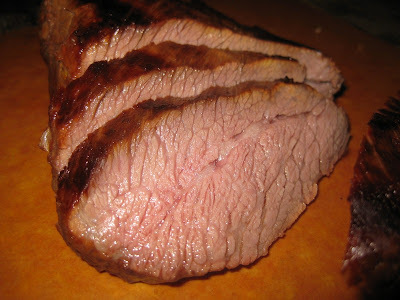 Tri-tip is really an amazing cut of meat. It looks like a big roast that'll take forever, but in reality, it only takes about 25 minutes on the fire. The marinade helps give it a nice, caramelized crust. Normally we'd cook this more rare, but I admit I'm a little out of practice with fire pit cooking. 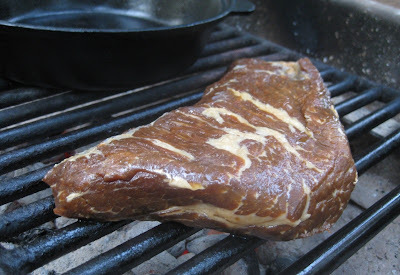 Nonetheless, it was still tender and juicy - with a flavor slightly sweet from the malt in the beer and perfectly seasoned by the soy. 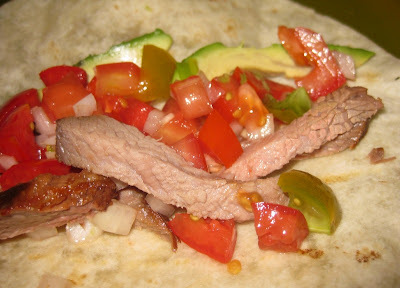 Wrapped in a warm tortilla with some fresh, chunky salsa, it made for a mighty successful - and easy - campfire cookout. Oooooh, that sounds like a great, simple marinade! Thanks for sharing! It's an easy weeknight at home meal as well, cooked on a grill or even oven-roasted for a short time at a high temp. So you don't need to wait for a camping trip, but if this gives you the "excuse" you need, go for it, and have fun!